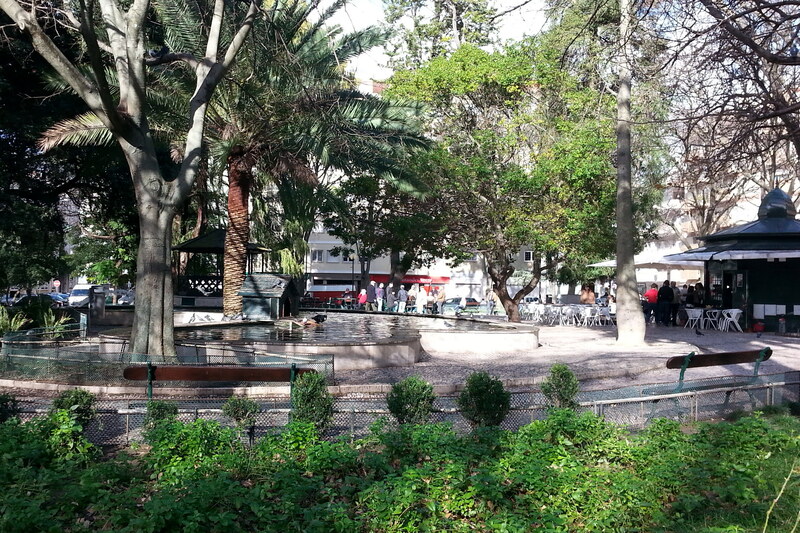 But, back to Jardim da Parada. The kiosk and outside café are relatively new – a really cool place to hang out and watch people passing by tough. But, as long as I can remember, the retired man playing cards and chess have been there. So many happy hours for these folks… A whole cycle of life – they start coming to the Jardim to play in the kiddie area. Then, they move to long talks with their significant ones by the pond, and finally play cards until is dark. I still remember coming here with my mother and grandmother, and I have lots of snapshots in this park. While in high school, I would come here for croissants with chocolate, a huge success he early eighties (shop is still there, but as croissant fad went away, they start selling all sorts of pastry) or to the Baskin & Robbins ice-cream shop (sadly gone). Now I go back to sit at the outside café or with the kiddies, always happy to chase the birds (so was I, by the way…).